As the ambiguity of “carework” suggests, Filipinos care for the physical well-being of their employers and also those employers’ emotional and psychic lives. At a nexus of colonialism and neocolonialism for five centuries, Filipinos confront the legacies of colonial and imperial engagement in their daily lives. How have digital and new media technologies created new social and creative possibilities that have transformed the lives of Filipinos and others around the world? Everywhere and nowhere, what makes Filipinos who and what they are? "All foreign influences were not adopted outright, but adapted ... just as they were transformed in other areas of culture ..." - Doreen Fernandez, "Why Sinigang?" Filipinos transform, deliberately and accidentally, the spaces that they enter and leave, unsettling national imaginaries and material spaces. Workshop, Squaw Valley’s Community of Writers, and Sewanee Writers’ Conference. She was recently shortlisted for the 2017 Rona Jaffe Writer's Award. She is hard at work on a novel. More at msipin.com. Here is an essay I wrote about the Pinay body: “To My Unknown Daughter,” which was published in Glimmer Train back in 2014. I thought reading this essay for CA+T’s “Talking Bodies” exhibit was appropriate but also star-aligning, because I wanted to do something more with it, something visual, something multimedia. 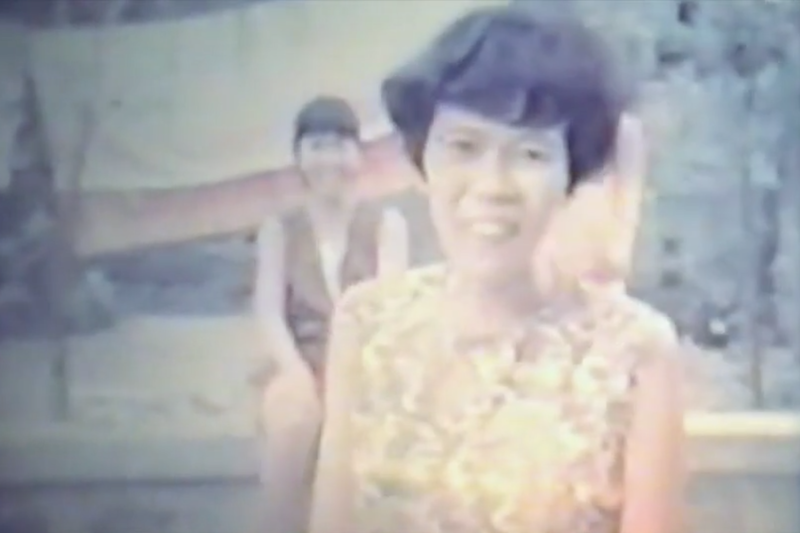 I decided against using footage of me reading this essay, or any footage of me really, and instead used this vintage, archival footage of my family in Mandaluyong, Metro Manila, Philippines, in 1967, during the Marcos regime. There’s so much lovely irony in this archival, fragmentary footage ... My father's in there with his older brothers; him the youngest, the most hungry. He’s about five years old, such a ripe and innocent age, a persona of my father I’ve never met or seen before, and he is seen riding a bike or longing for his eldest brother, my Uncle Dennis, the chosen patriarch of my family after my grandfather died. The men first seen in the beginning, in the first clip, is my Uncle Geony and my Uncle Eddie—both of whom fled to the East Coast right around the time my grandfather passed, almost in defiance, in irrelevance to my Uncle Dennis. All the kids dancing are my familia—my aunts, my uncles, my cousins, my bloodline. Let me go deeper, and tell you the backstory behind the footage: my white uncle, who filmed this footage, met my Auntie Lodie near Clark Air Base (she was a prostitute), and they married; before he left for America (and subsequently took her, which allowed my whole family to immigrate), he would visit the family home in Manila and bring gifts, like this camera. In this essay, I talk a bit about how this complication, this nuance, this chance meeting between my white uncle and prostitute aunt is a consequence of U.S. Imperialism, and how all of this—this kind of colonial inheritance—affects the ways I write about the Pinay body. Although I wanted to film new material, these archival, old family videos made by my white uncle—who, ironically, is the only one archiving and recording our family histories, our family tree, and salvaging mementos from our past—obsessed me. This footage always damages me in a slow, pregnant way; it marks the infancy of my familia, it marks the moment when we were once together, before we broke apart. I decided to loop the video in hopes of producing a kind of fragmentary remembrance.